PP1 alpha antibody recognizes PP1 alpha, also known as serine/threonine protein phosphatase PP1-alpha 1 catalytic subunit. Mouse anti Human PP1 alpha antibody recognizes PP1 alpha, also known as protein phosphatase 1-alpha isoform and serine/threonine protein phosphatase PP1-alpha 1 catalytic subunit. The protein encoded by PPP1CA is one of the three catalytic subunits of protein phosphatase 1 (PP1). PP1 is a serine/threonine specific protein phosphatase known to be involved in the regulation of a variety of cellular processes, such as cell division, glycogen metabolism, muscle contractility, protein synthesis, and HIV-1 viral transcription. Increased PP1 activity has been observed in the end stage of heart failure. Studies in both human and mice suggest that PP1 is an important regulator of cardiac function. Mouse studies also suggest that PP1 functions as a suppressor of learning and memory. Three alternatively spliced transcript variants encoding different isoforms have been found for PPP1CA (provided by RefSeq, Jul 2008). 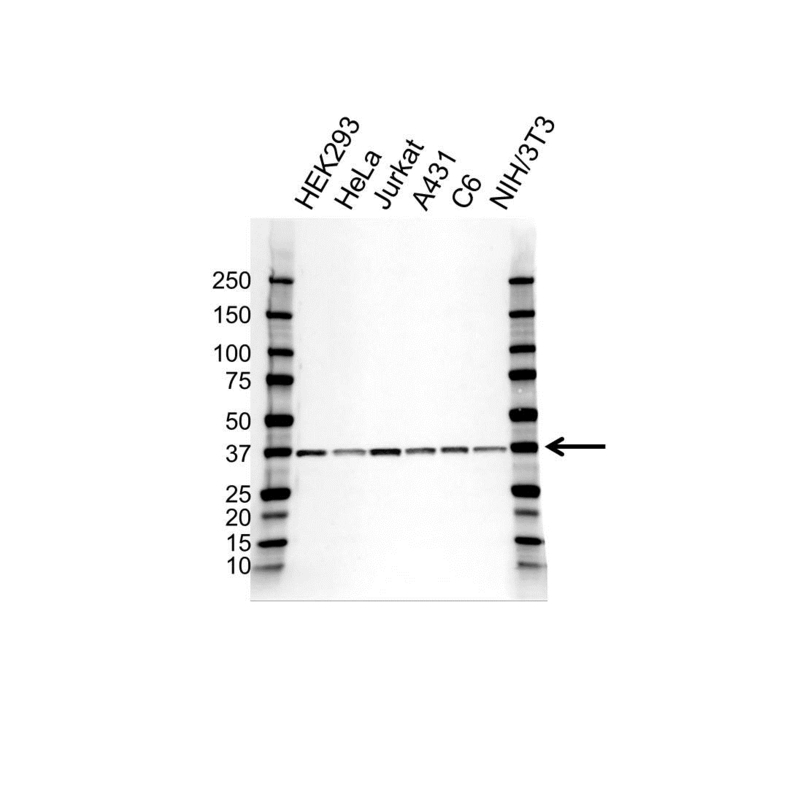 Mouse anti Human PP1 alpha antibody detects a band of 38 kDa. The antibody has been extensively validated for western blotting using whole cell lysates.